Infrared thermal imaging is recognised as one of the safest & most economical, non-invasive diagnostic & preventative maintenance tools available. Are you heading out on a long voyage? 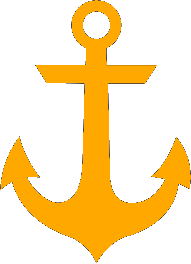 Do you operate a commercial vessel and can't afford down time? If you are either of the above, or if you just hate unexpected breakdowns, take the time to read what infrared thermal inspections can do for you. 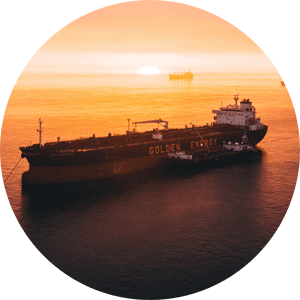 All infrared inspections conducted by Global Marine Services are performed by a certified level 1 infrared thermographer & licensed marine engineer with years of dedicated shipboard experience. 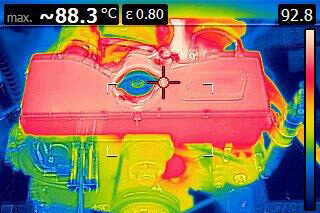 What can thermal imaging do? 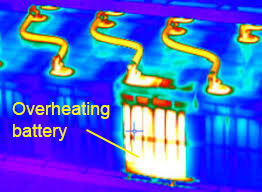 An infrared thermal scan of your batteries & DC electrical system is a totally non-invasive, effective & safe means to identify faulty cells in batteries, loose or corroded connections & defective battery isloators & switches. Infrared machinery inspections are a standard preventative maintenance procedure in commerical marine & industrial applications. 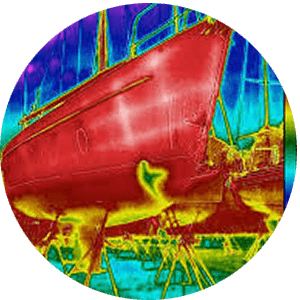 Please contact Global Marine Services for a demonstration or to discuss improving your preventative maintenance regime using thermal imaging. Concerned that your solar panel array is not performing to it's full capacity? 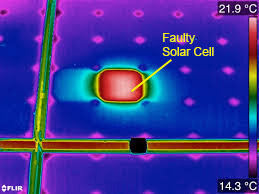 Infrared thermal imaging is recognised as one of the most effective means of testing solar panel systems for defective & inefficient cells. 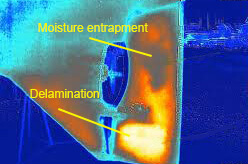 Infrared thermal imaging can be used to identify subsurface defects in composite materials. 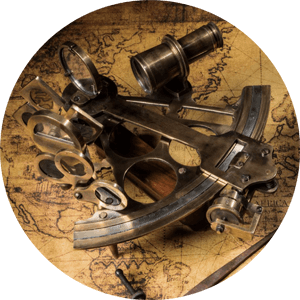 It is a safe, fast, non-contact, non destructive means of investigating for delamination, osmosis, dry rot & structural damage or repairs. 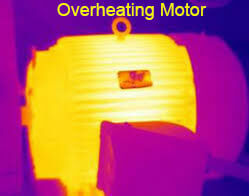 A form of infrared imaging called "Active Thermography" is used when working with composites. When using active thermography a thermohrapher heats an area & observes the change in it's thermal signature as it cools. Heat is the enemy of all electrical componenets. 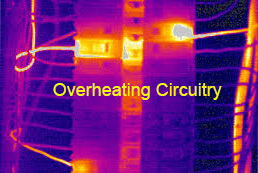 A thermal inspection of your AC electrical system can easily identify overheating conductors, switches, circuits, motors, alternators & all other electrical hardware. All objects at a temperature above absolute zero emit some level of infrared energy. A correlation can be drawn between the infrared energy emitted from an object and it's temperature. This energy is an electromagnetic wave, the frequency of which, is incapble of being detected by human eyesight. Electronic devices have been developed which are capable of detecting infrared radiation and converting it to a form which people can see. These devices are commonly referred to as thermal imagers and the persons trained to operate them are thermographers. The majority of mechanical & electrical equipment generate more heat when they are faulty or operating outside there designed capacities. 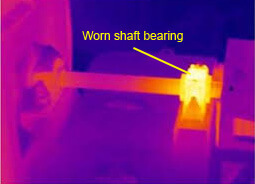 An experienced thermographer can identify & record these hot spots allowing components to be repaired before their is a failure. Thermal imaging has been in use commercially since the 1980's. It is recognised as one of the best, non-invasive, proactive, fault finding techniques and predictive maintenace tools available. Thermal inspecions have become widely accepted in commercial industries, power generation & oil & gas exploration & production. 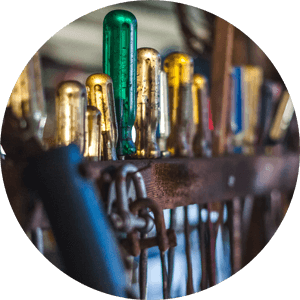 Research has shown that for every dollar spent on an infrared preventative maintenance regime there is a four dollar savings to be recouped in improved reliability & decreased down time. 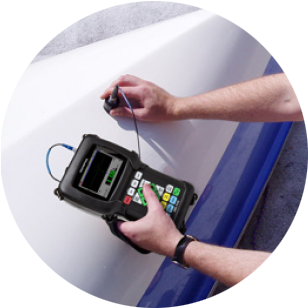 Global Marine Services uses only the highest quality NDT equipment. The Test 868 is a German manfactured thermal imaging camera capable of an infrared resolution of 160 x 120 pixels. The camera is equipped with Testo's Super Resolution feature allowing thermal images to be compounded, resulting in a virtual resolution of 320 x 240 pixels. It is equipped with a 31 deg x 23 deg fixed focus lens that permits a minimum focus distance of 0.5m. An integral digital camera provides visual images which can be spliced into thermal images using special Testo software. The imager has a temperature measurement range of -30 deg to 650 deg Celcius and an infrared spectral range of 7.5 to 14 um. The Testo app provides wireless mobile connectivity & remote operation. Testo IRsoft software enables full post production editing & report generation. Offering excellent image resolution, portability & ease of operation, the Test 868 is ideally suited to marine survey applications. Contact us today to discuss what thermal imaging can do for you.